Head injury. Computer artwork of the head of a person with a subdural haematoma (red). This is the bleeding and subsequent formation of a blood clot between the membranes surrounding the brain. 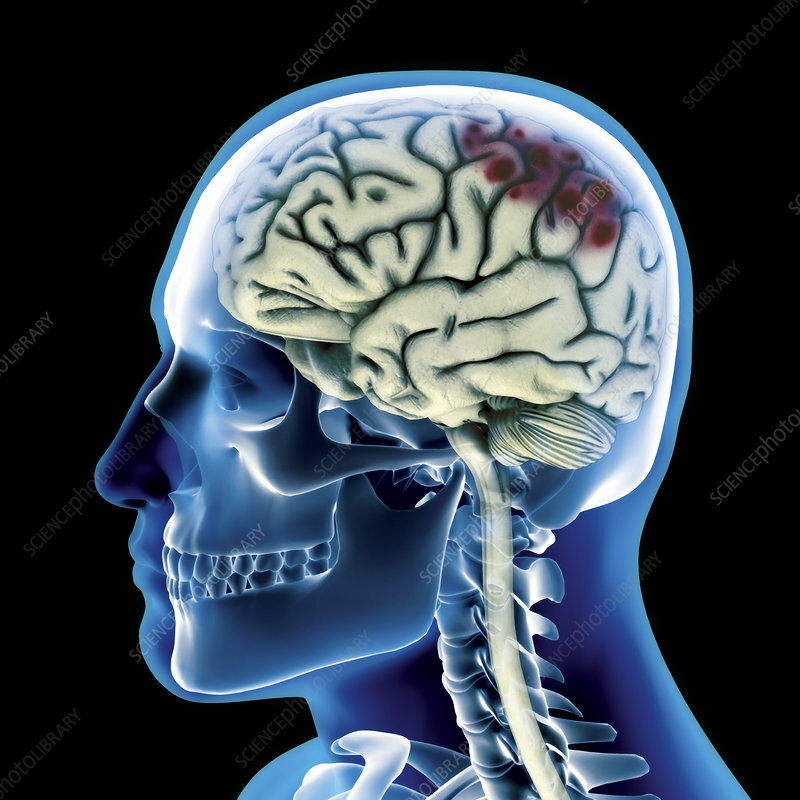 Subdural haematomas are often fatal as the mass puts pressure on the brain, damaging the tissue. They are caused by impact injuries and are more common in the elderly, as the blood vessels involved become more fragile with age. Treatment is usually with the surgical removal of the clot.